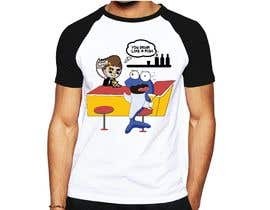 I want artwork for a tshirt design. 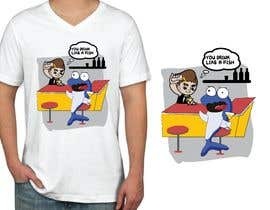 The picture will be a cartoon style. 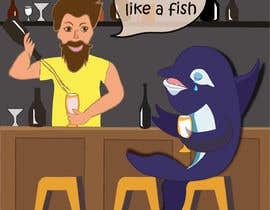 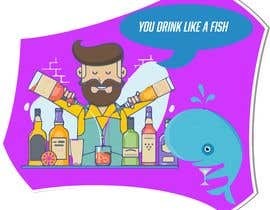 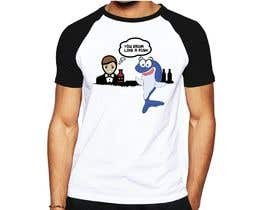 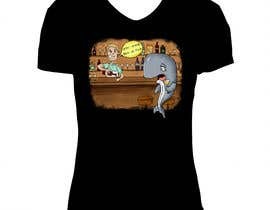 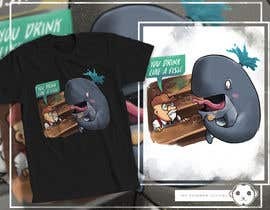 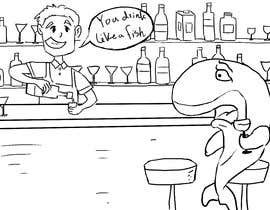 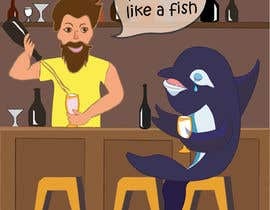 A whale behind the bar with a drink with a bartender telling him "you drink like a fish". 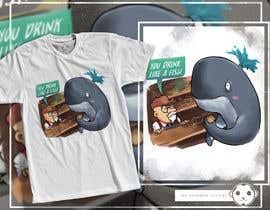 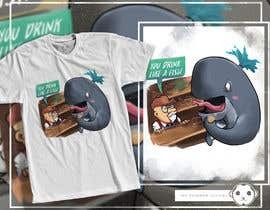 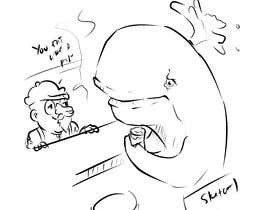 The whale must have a shocked/almost offended expression on their face. 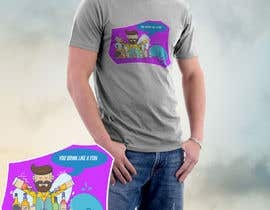 The design must be original and hand drawn, high quality and original design. 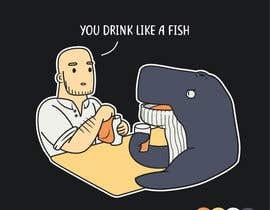 Should be able to be printed on most colored tshirts. 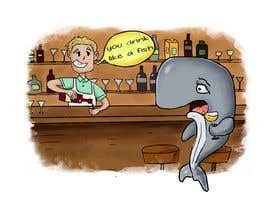 Please remember the whale must have a shocked/almost offended expression on their face - they are offended by what the bartender is saying. 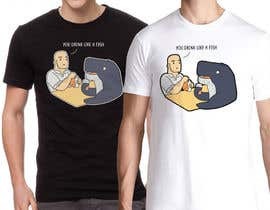 Also might be a good idea to do a google image search of a whale - a whale is not a fish.